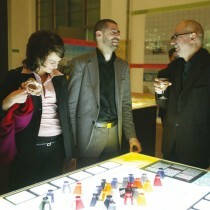 EXHIBITION: EXPORT a strategy for finding work, or proof of German design quality? Germany is the Export Weltmeister. The slogan MADE IN GERMANY stands internationally for high quality craftsmanship and sleek Design. The Image of Germany as producers of long-lasting solid products is still in tact and is the pride of the German economy and nation. Does this apply to Architecture as well? The demand is there. 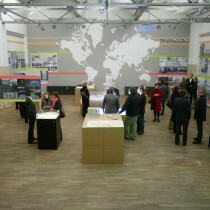 German Architects are building in foreign countries around the world. 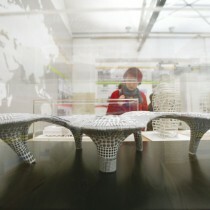 Not only big international offices, but also young Architects are finding work across borders. 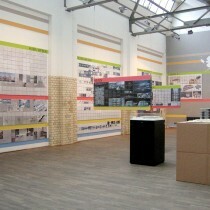 ‚EXPORT’ presents foreign projects by 15 German architects. The various mechanisms of marketing and the context of export were examined as well as the hypothesis of a ‘German Image’. What is Germany exporting and what could Germany export? 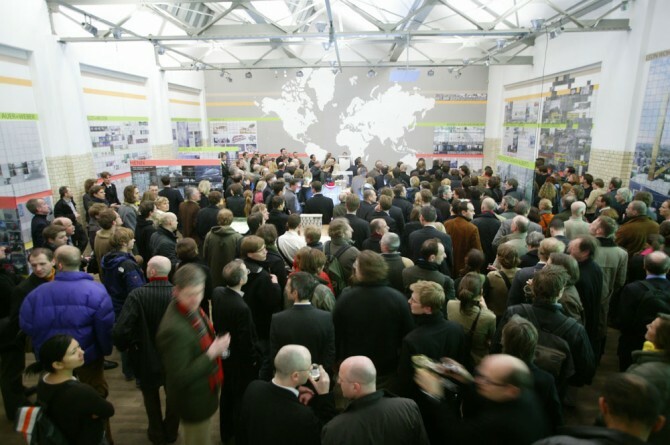 Projects will be looked at under the aspect of their German Architecture Image and according to their response to the questions of special cultural and building themes in each respective country. 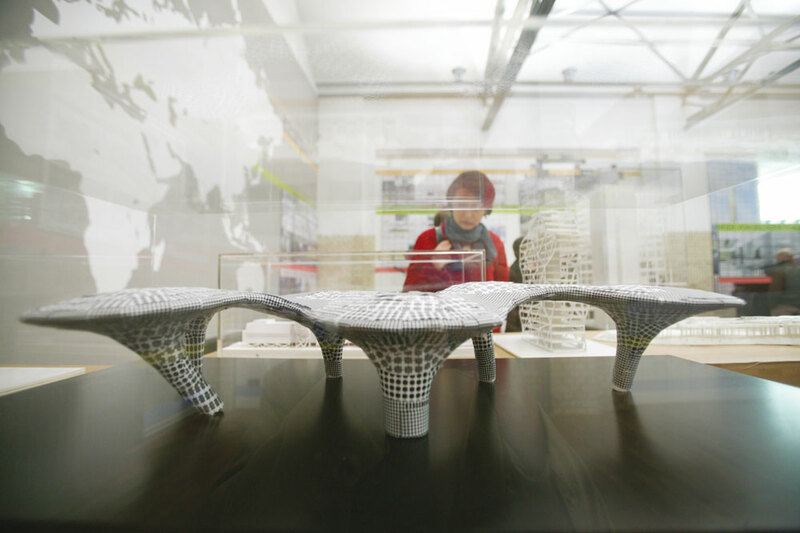 Is the label Made in Germany, which is still meaningful for the export of German products, also a selling point for the transfer of architecture? 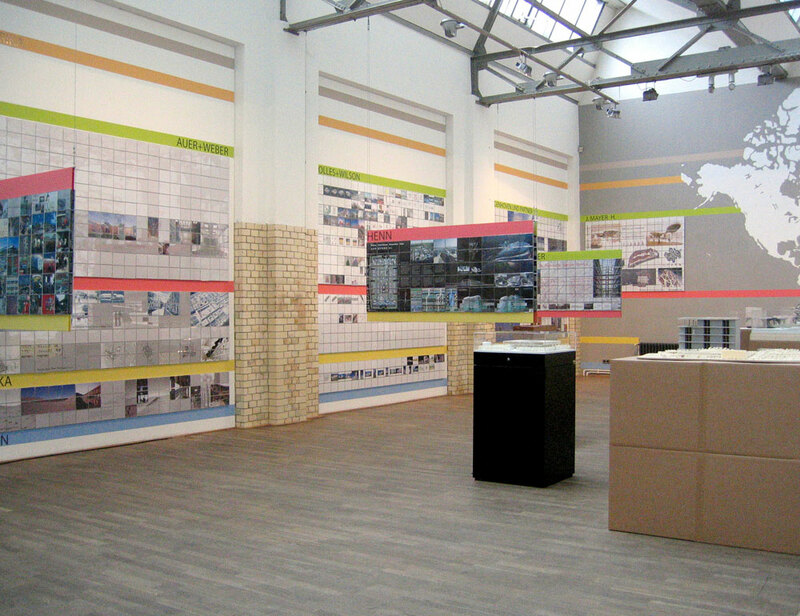 The exhibition presents a spectrum of German architectural offices with very different projects, from competitions and planning to built work. 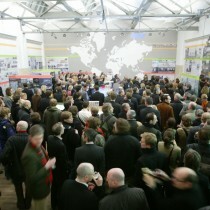 The offices were chosen to portray the most diverse offices from young to established and from the internationally acclaimed to the regional players. Overall, the image of German Architecture was put to question. 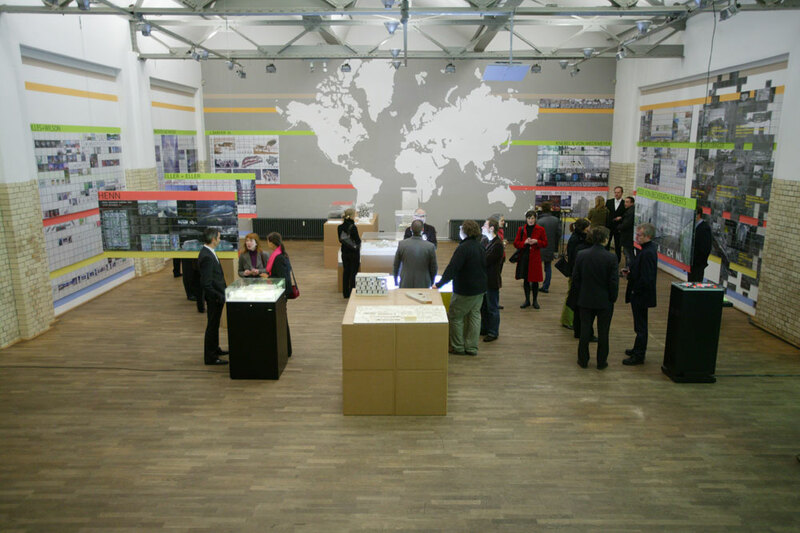 An accompanying lecture programme addresses themes surrounding the topic of Architecture Export: German Design as a Marketing Aspect? ; ‘Global Language or Regional Contextualism?’; ‘Stratigies for Developing Projects in Foreign Countries’; as well as ‘Project Reports’ by the exhibiting architects. 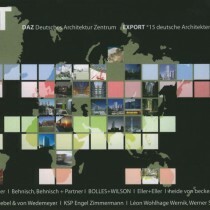 ARCHITECTS: Auer+Weber+Architekten, Barkow Leibinger Architekten, Behnisch, Behnisch + Partner Architekten, BOLLES+WILSON, Eller + Eller Architekten, heide von beckerath alberts architekten, Henn Architekten, Ingenhoven und Partner Architekten, J. Mayer H. Architekten, Jan Kleihues und Klaus Schuwerk, Knebel & von Wiedermeyer Architekten, KSP Engel Zimmermann Architekten, LéonWohlhageWernik Architekten mit Werner Sobek Ing. und Transsolar, modulorbeat, Rang + Volz Architekten. 18. 04. 2005 Barkow Leibinger Architekten l Heide von Beckerath Alberts l KSP Engel Zimmermann Arch. TRAVELING EXHIBITION: LONDON, at the German Embassy 30.05-30.06.2007. – Accompanying the RIBA Trust Conference „Towards a Sustainable Architecture”.